When preparing your child, please reinforce the idea that going to the dentist is a fun and comfortable experience. 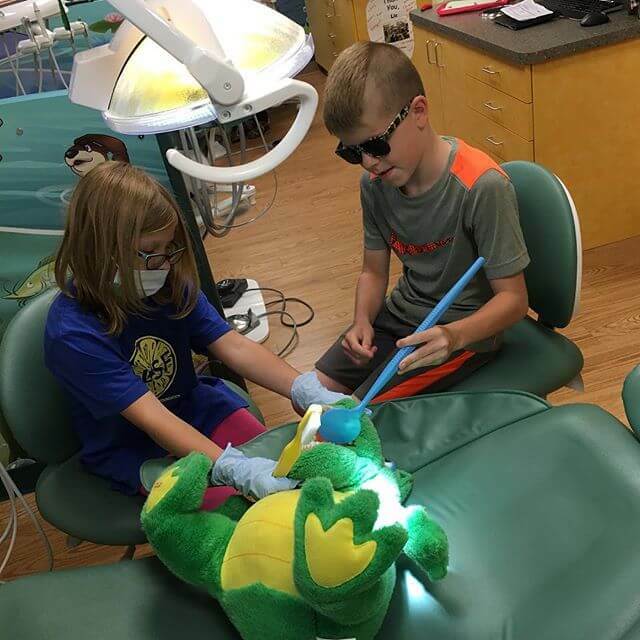 We will always tell your child about each procedure and how it works, show your child what it looks like, and then perform the procedure when they are comfortable. If you are anxious about the visit, your child will sense that and will be anxious as well. New patients should plan to arrive at least 15 minutes prior to their appointment time in order to complete patient registration if you have not already done so. Please be sure to bring your child’s dental insurance card and photo ID to assist in the registration process. If you are moving into the area, please ask your former dentist to send a copy of your child’s records.